What platforms will the game be released on? Will there be a DRM-free option? How many copies of the Mini-Campaign do I get if we reach $1,000,000? What about side missions for Rachter and Wu? Is there going to be multi-player or co-op? Why aren't you making the game for iOS and Android? I loved your previous games on tablet. Why didn't you localize Dragonfall? 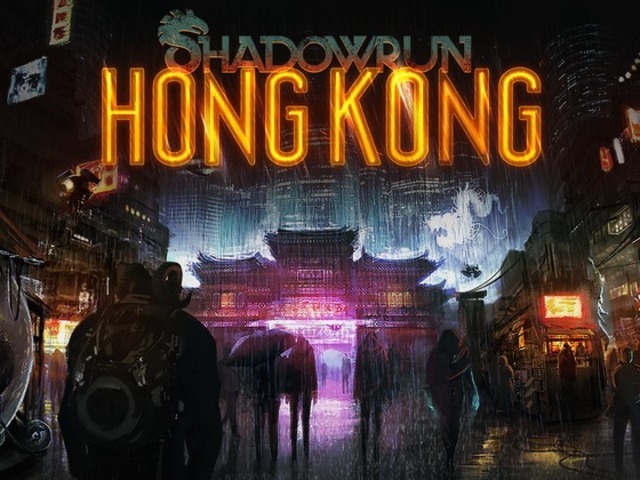 Will you localize SR:HK? Are you going to have a Paypal option? Why are there different delivery dates on rewards? I’m not in the USA - How will I pay for shipping? What will the international shipping costs be for the physical rewards be? Will you be making a physical boxed copy of the game like you did for SRR? Can I import my character from Dead Man’s Switch or Dragonfall? How will this game integrate with the SRR and DF editor? Will I be able to import the runs I’ve already made? Your Animatic Scene Transitions will have voiceovers… so will the whole game have voiceovers? Can that be a funding goal? About the brand new tabletop gaming SOURCEBOOK for SR:HK - what edition of the rules are you using? What is this "Digital Tools Box" of which you speak? I know it not.